Here is another great find! 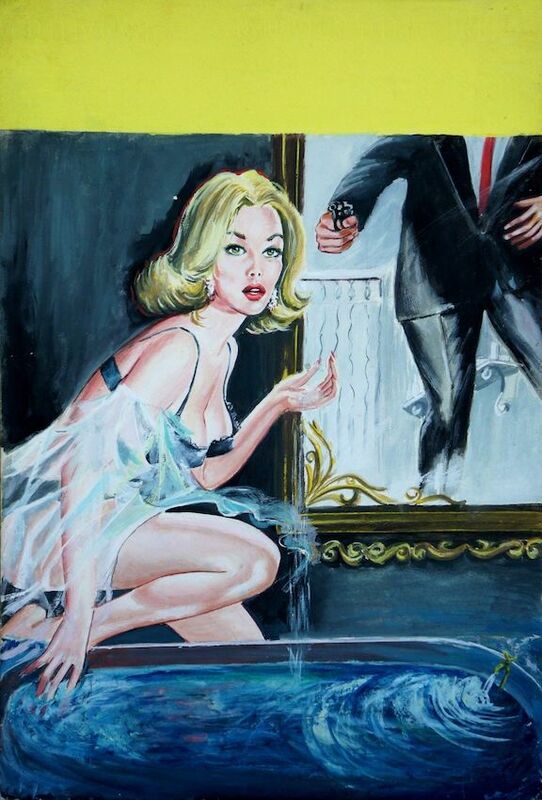 A vintage, original pulp cover painting depicting a beautiful woman drawing her bath being surprised by a gangster thug breaking into her bathroom. Tempura on rigid cardboard.